The Cemetery is of course open to everyone but becoming a member means you are interested in helping to look after this very special place. The minimum requirement is you have a passion about the Cemetery and that is why membership is open to anyone from anywhere, regardless of whether you have a loved one buried there or not. We can never have too many members as each has something to offer and this can be in any form, be it time, support, expertise or just plain hard work. So even if you do not wish to get involved with any practical work, that shouldn't put you off as having a large membership reflects the positive support from the Community. With a collective voice, we can carry more influence with the Council and direct future policy. By whipped up a huge amount of support for the Cemetery and having a very active membership, we can take shared responsibility for the Cemetery. With greater numbers we can achieve great things. Membership is free for the time being and by becoming a member, you will receive updates on any developments concerning the Cemetery. Not only is there practical clearing work, but we hope to run several events every year including shrub planting, providing support and resources for educational visits and hosting an open day where people can come and learn about the Cemetery. All this can only possible with your support in any capacity. If you do wish to help us in our practical conservation work, then you will need to be a member in order to be covered by our insurance. Members will be available to help with the maintenance of individual graves and to ensure the Cemetery is clean and tidy for all users. There may be hard work involved, but the rewards are more than worth the effort. 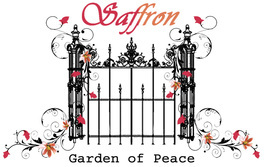 Through your commitment, perhaps most rewardingly, members may gain satisfaction that they are helping to keep the wonderful story of Saffron Hill alive, its gates open and its future secure long after burials have concluded at the site as a place for remembrance, reflection and contemplation whose beauty and history attracts visitors from all backgrounds. Our members come from all walks of life and are drawn to the cemetery for a number of different reasons. Members contribute what they can, when they can, with no upper limit on how much of their time or support they dedicate to the Cemetery. As a member, you will be contribute to ensuring the Cemetery’s future protection by maintaining and developing garden areas by creating wildlife habitats and bird sanctuaries, tree pruning, weeding, as the cemetery boasts a wealth of flora and fauna, bird and animal life and clearing of paths and walkways. For this, you will be required to work in a team being able to follow safety procedures with other members from diverse backgrounds and of varying ages. Reliability and good time-keeping is essential so that we can run to a schedule and finish a set task. All tools and implements will be provided for your safety and comfort in mind. For health and safety requirements, the minimum age for all volunteers is 16 years. For added peace of mind, we have liability insurance as your safety and wellbeing is paramount whilst conducting Friends of Group activities. Many people choose to get involved because they want to give something back to their local community or support a good cause as well as recognising that voluntary work can bring benefits to themselves. By being a member, you will meet new people, gain new skills and experience and receive the knowledge that you are supporting a precious part of the city that benefits the whole community. This will give satisfaction about caring for a place where ultimately you may also be a permanent resident. To join our Group, please fill in the online sign up form below. Alternatively you can download a copy of the Membership Form, which you can complete and return to us via email or post.